PORTLAND, OR, 12/07/2017 — Writer Sebastian Girner (SHIRTLESS BEAR-FIGHTER!) 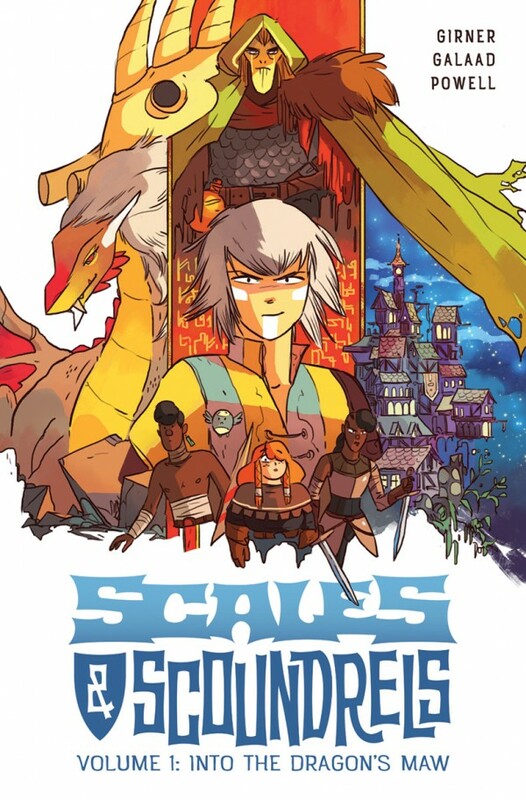 and artist Galaad will release the first trade paperback collection—as well as issue six, which kicks off the series’ second story arc—of SCALES & SCOUNDRELS, the fantasy adventure story for roguish scoundrels of all ages. Take heart, readers: the first arc may end with a giant cliffhanger, but issue six is delivered to you posthaste to ease the sting. SCALES & SCOUNDRELS, VOL. 1: INTO THE DRAGON’S MAW (Diamond code: NOV170682, ISBN: 978-1-5343-0482-6) and SCALES & SCOUNDRELS #6 (Diamond code: DEC170758) hit comic book stores Wednesday, February 7th. 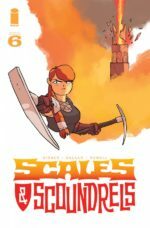 The final order cutoff deadline for comics retailers for SCALES & SCOUNDRELS, VOL. 1: INTO THE DRAGON’S MAW is Monday, December 18th. 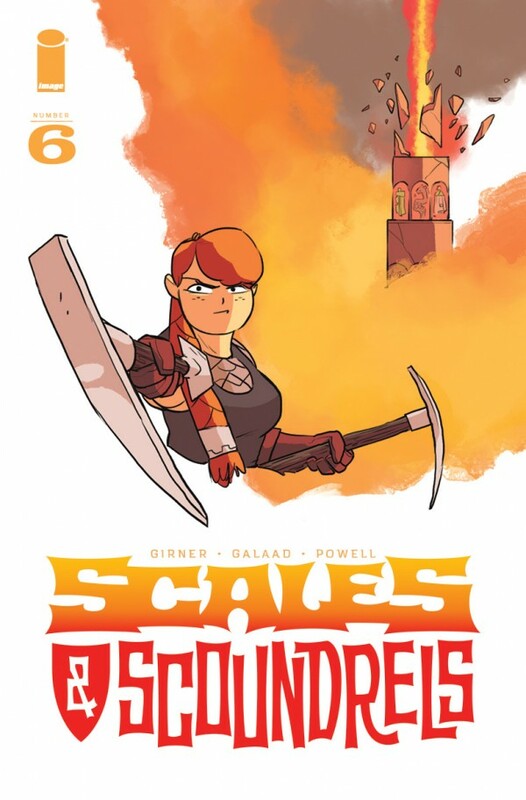 The final order cutoff deadline for SCALES & SCOUNDRELS #6 is Monday, January 15th. 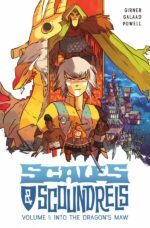 SCALES & SCOUNDRELS, VOL. 1: INTO THE DRAGON’S MAW will arrive in bookstores Tuesday, February 13th. It is available for preorder via Amazon, Barnes & Noble, Indiebound, and Indigo.